For over 15 years, Fast Track has been creating cutting edge websites and applications for businesses of all sizes faster and better than anyone else in the business. Fast Track is leading .NET application development company and a recognized expert in the development of Microsoft technology platforms. As one of the leading developers of mobile, tablet, and web applications utilizing .NET technology, we deliver high quality results in a cost effective way. 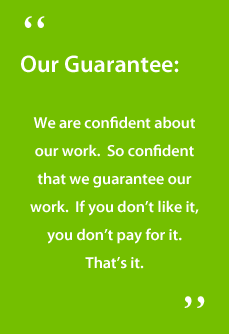 Our goal is to increase your competitive advantage. 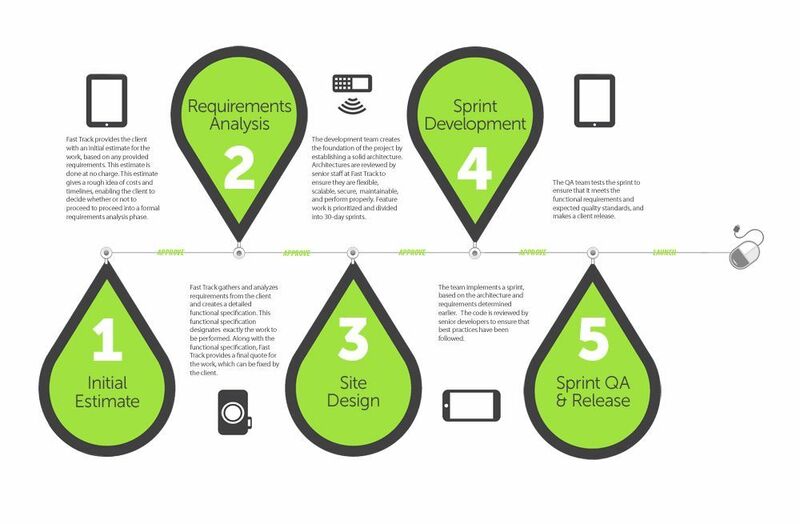 Our solutions range from very simple web sites to creating large, complex enterprise website applications that operate in high traffic environments. We specialize in enterprise application and website development, and offer over 100 years of combined experience working with all types of clients---from startups to large corporations and everything in between. We take the time to understand your particular needs and deliver real solutions that are intelligent and seamless. Fast Track is here to accelerate your internet success. Start pulling ahead of your competition today. Need help with a site or application? We’re also experienced with HTML 5, CSS3, and with a number of .NET based CMS systems, including DotNetNuke, Sitefinity, mojoPortal, Community Server, Umbraco, and SharePoint. The .NET Framework is a software framework developed by Microsoft. The .NET Framework is made up of two major components: the common language runtime (CLR) and the framework class library (FCL). The CLR is the foundation of the .NET Framework and provides various services that applications can use. The CLR also forms the “environment” that other applications run on. 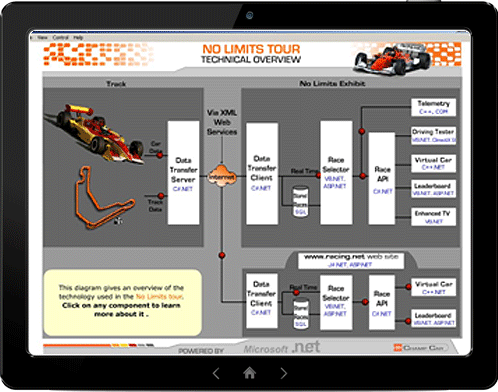 Interoperability: The framework provides means to access functionality implemented by programs outside the .NET framework. Common Language Runtime engine: All .NET programs execute in the same engine and so concerns like memory management, security and exception handling is taken care of. Language independence: The .NET framework introduces the Common Type System, because of which the framework supports communication between libraries and applications written in any .NET language. Class Library: The framework provides a powerful class library which empowers developers to write less code while taking care of the application’s security, performance and other factors. Simplified Deployment: The framework includes features and tools that help manage the seamless installation and management of the software. Security: The framework design addresses vulnerabilities exposed by usual software built on general operating system. Portability: Cross platform implementation of the framework are available for other operating systems making it easy to build software using this framework and targeting many users. Provides high density hosting of websites. Customers can create web sites in PHP, .NET, and Node.js, or select from several open source applications from a gallery to deploy. This comprises one aspect of the Platform as a Service (PaaS) offerings for the Windows Azure Platform. Windows Azure Virtual Machines comprise the Infrastructure as a Service (IaaS) offering from Microsoft for their public cloud. Customers can create Virtual Machines, of which they have complete control, to run the Microsoft Data Centers. 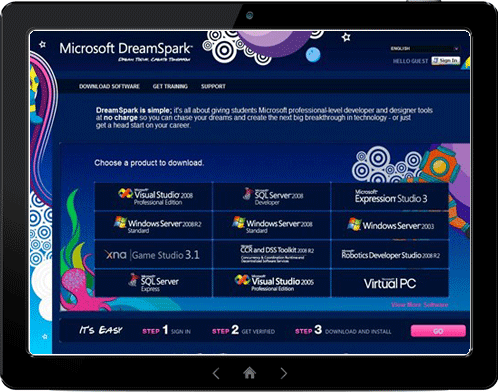 The Cloud Services for Windows Azure comprise one aspect of the PaaS offerings from the Windows Azure Platform. The Cloud Services are containers of hosted applications. These applications can be internet-facing public web applications (such as web sites and e-commerce solutions), or they can be private processing engines for other work, such as processing orders or analyzing data. Data management is provided through SQL Database, Tables and BLOB storages. Business Analytics is provided through SQL Reporting, Data Marketplace and Hadoop. Identity is provided by Active Directory and Access Control Service. Messaging is using Windows Azure Service Bus and Queues. 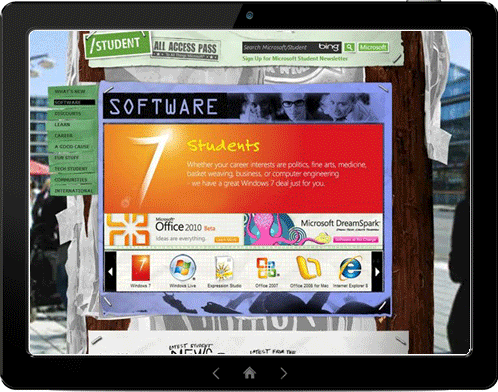 Media Services and Mobile Services are some of the additional services. Open standard: It is supported by almost every web browser and platform. The server is not required to process all the form elements and only necessary data is sent back to the user. Performance improvement: The page components are loaded faster with the help of Ajax. Lesser bandwidth is required to transmit only limited data and not whole page data. 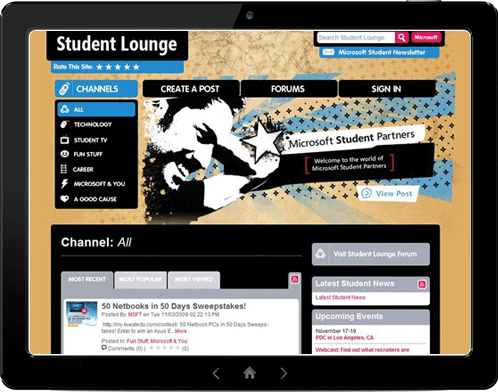 Silverlight is Microsoft technology to write and execute rich multimedia content on the web. The run-time environment for Silverlight is available as a plug-in for various web browsers running under Microsoft Windows and Mac OS X. Unlike ASP.NET, the bulk of Silverlight processing occurs on the client machine thus decreasing server resource utilization and improving the Web experience on the client. Silverlight was designed using the same design paradigm as ASP.NET. Each page of a Silverlight application includes an associated code behind file that includes the code that handles events fired by the page. Silverlight resembles WPF in that it uses Extensible Application Markup Language (XAML) to construct the user interface (presentation layer). As Silverlight applications are composed of text-based files that include markup and code, they can be created using any text editor; however, more advanced tools and development environments such as Visual Studio or Expression Blend simplify the task significantly. Provides cross domain support for applications. The environment is available as a small sized plug-in for many browsers. Provides good quality video streaming. ASP.NET Dynamic Data is Microsoft’s web application scaffolding framework. 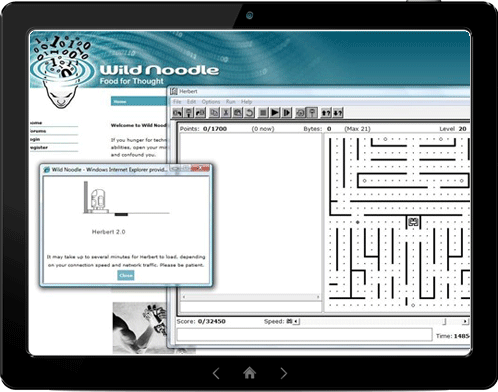 It is shipped as an extension to ASP.NET and can be used for data driven websites. The general idea behind is that once the database is ready, we create a data context for this database. Once the data context is ready, the web pages that perform the database operations will be generated on the fly. Note that the dynamic data website generates pages at runtime and it is not some auto generated code by Visual Studio. It uses some template pages and controls to render the actual data. It is helpful to generate admin level website/pages which typically retrieves, inserts and updates data. Since there are default template pages available, the entire application is ready comparatively quick after the database is ready and populated with data. 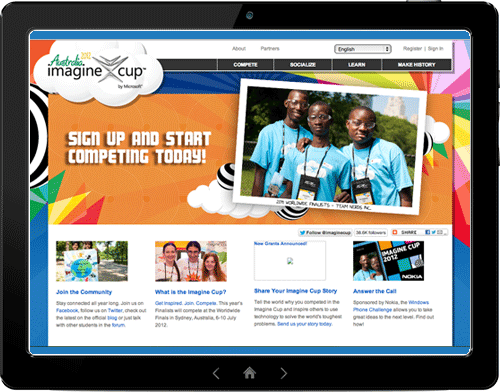 Customization of the web page generation is possible to achieve more complex needs. Windows Communication Foundation (WCF) is a framework for building service-oriented applications. Using WCF, one can send data as asynchronous messages from one service endpoint to another. A service endpoint can be part of a continuously available service hosted by IIS, or it can be a service hosted in an application. An endpoint can be a client of a service that requests data from a service endpoint. The messages can be as simple as a single character or word sent as XML, or as complex as a stream of binary data. Model–view–controller (MVC) is an Architectural design pattern. The Model is the part of the application that handles the logic for the application data. The model objects retrieve data (and store data) from a database. The View is the part of the application that handles the display of the data. Most often the views are created from the model data. The Controller is the part of the application that handles user interaction. Typically controllers read data from a view, control user input, and send input data to the model. The MVC separation helps manage complex applications, because one can focus on one aspect a time. It also makes it easier to test an application. The MVC separation also simplifies group development. Different developers can work on the view, the controller logic, and the business logic in parallel. Respects “Separation of Concerns”. Provides clean separation of concerns (SoC). So it is good for project with large team of developer and designer and both wants full control over there area. Test driven development (TDD), highly testable. Easily combined with other Architectural design. Fewer configurations are required (Convention over Configuration). 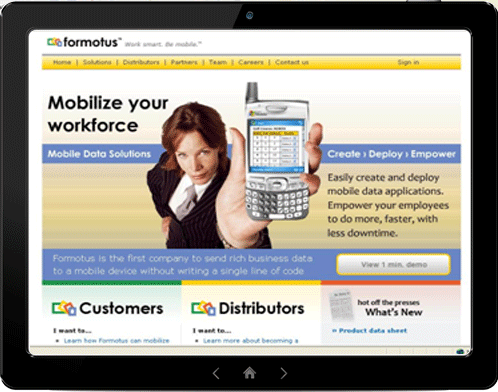 Click HERE for a preview of our HTML5 Showcase. All major browsers like Chrome, Safari, Firefox, Opera and Internet Explorer supports HTML5. Even device independent (i.e., available on all devices and providing the same end experience). HTML5 introduces many new markup elements like <header>, <footer>, <nav>, <video>, <audio>, <embed>, <canvas>, etc. HTML5 along with CSS3 helps in getting advanced effects with less effort and cost. Eventually helping in improved website performance with reduced number of files and images. Responsive web design is an approach to build website so that it has a better reading, navigating, viewing experience across a wide range of devices. 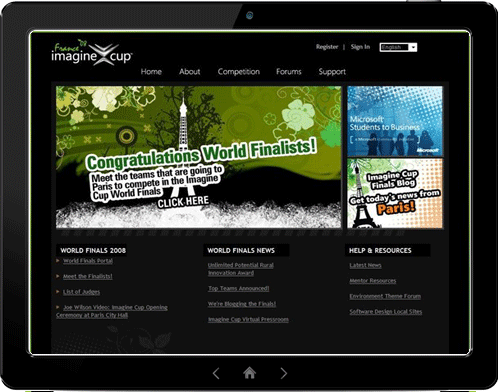 A website built using responsive web design uses the fluid grids, flexible images, CSS3 media queries styles. In the fluid grid style the page element sizing is in percentage of the screen dimension instead of absolute units. Flexible images are also sized in relative units as per the screens. Media queries use CSS style rules to display the site based on the device. The idea is that when a user switches from their laptop to tablet or mobile, the website should automatically switch to accommodate for resolution, image size and scripting ability. One site for every device. The website would be configured for optimal viewing based on the device thus increasing the website’s reach to tablet and mobile audiences. Optimal design for the device. All the images, font and other HTML elements would scale as per the device the website is viewed upon. Avoid redirect for the users and easy & understandable navigation helps in increase sales and conversion rate. Save time and development cost for the business by avoiding building separate websites for specific devices including mobiles. Even time and cost is saved for website maintenance. 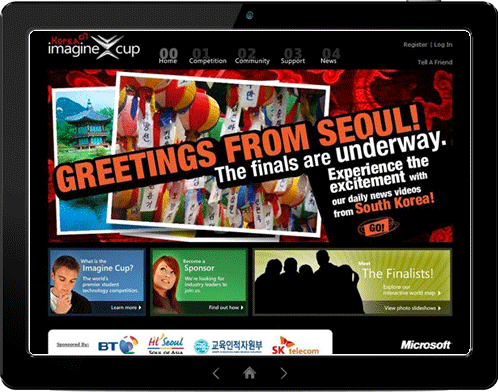 Enhance user’s online and offline browsing experience resulting into increased visits. 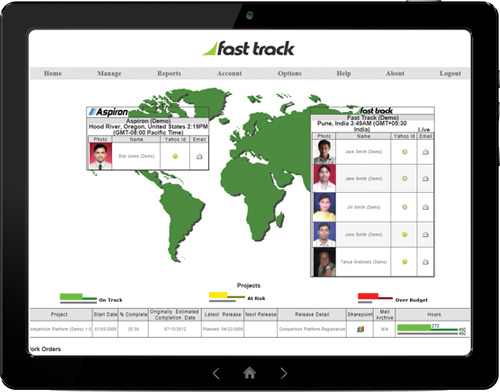 Fast Track's Project Tracker keeps you in the loop by providing up-to-the-minute status information on your project. With Project Tracker, you can keep tabs on costs, timelines, awaited items, and much more. Click here for a demo of Project Tracker. 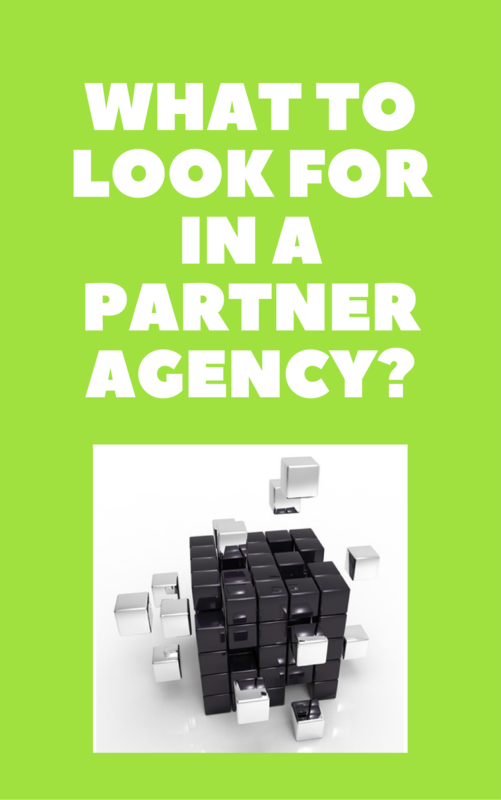 What to Look for in a Partner Agency? Do you develop website work in-house or outsource them? Can't decided which? This ebook helps you identify the pros and cons aim to help you arrive at a smarter decision.